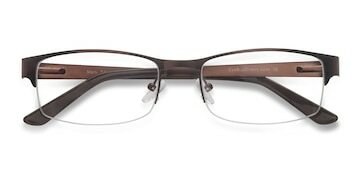 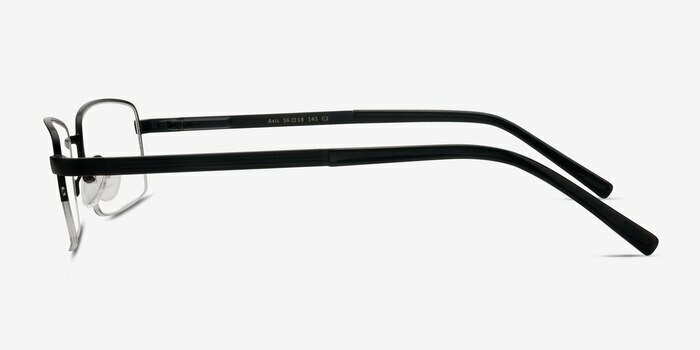 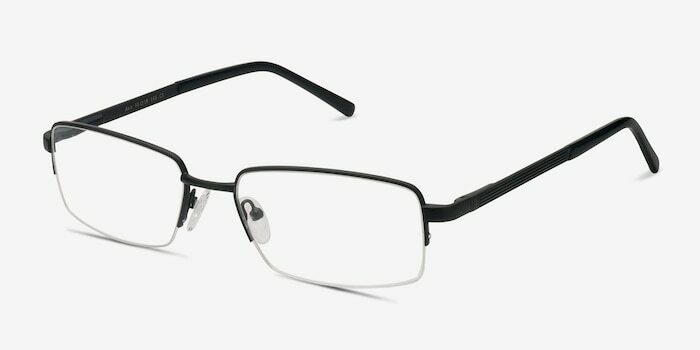 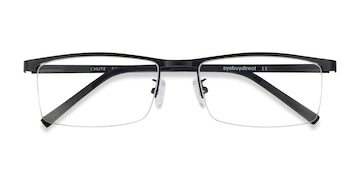 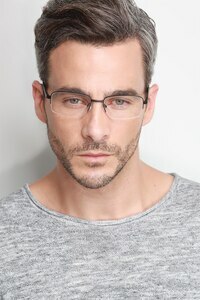 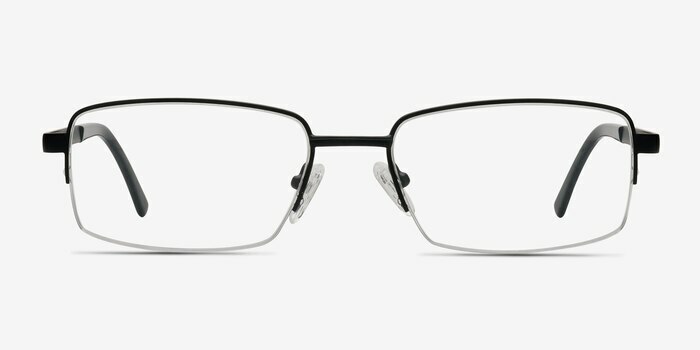 Business-like and bold, these Axis eyeglasses are for men who want to make an impression. 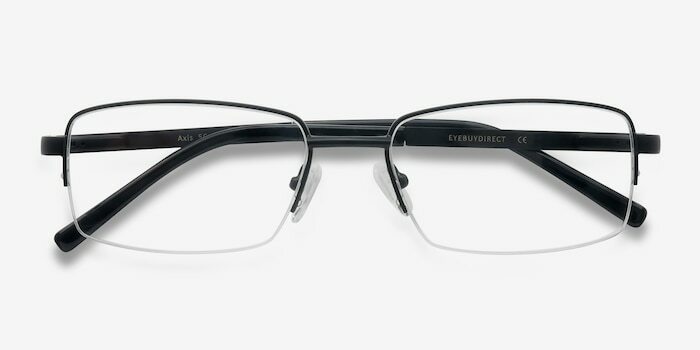 The rectangular shaped lenses, a straight nose bridge, and semi-rimless design give a professional feel, but it is the thick, uncompromising temples with lined detailing that really make this frame stand out. 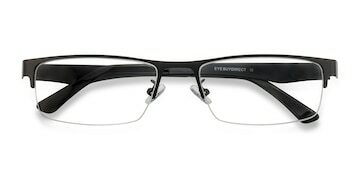 Premium black metal construction and spring hinges deliver durability and comfort.